Reed uses Jes Grew as a metaphor encapsulating all African art such as blues, jazz, the works of black writers, artists, slang and dance crazes. He pits Jes Grew, an exciting, pulsating, rising black culture against white cultural superiority and entitlement. But in order for Jes Grew to survive, an important text produced in ancient Egypt and passed down through the ages needs to be located to stop Jes Grew being suppressed by a fearful west. Our hoodoo protagonist, PaPa LaBas is entrusted with finding this text and following the psychic trail along with his sidekick Black Herman, a stage magician who performed in the US during the 1920’s and 1930’s. With cases rising across the nation, 98,000 in Mississippi, 18,000 in Arkansas, 60,000 in Tennessee, the authorities want to contain this black plague infecting mainstream America. That has people chanting and dancing in the streets. Reed then reveals his pivotal conspiracy theory, an order called the Knights Templar originally formed in the 1300’s are waiting in the wings to stop Jes grew although they’re not alone in their intentions. The Atonists, Wall Street, politicians, the Wallflower Order, Masons, journalists, the Teutonic Knights formed in the twelfth century amongst others all have a vested interest in eliminating Jes Grew. This large conspiracy theory with its many tentacles has been lurking through the ages along with some of the orders. The Atonists originally sun worshippers in Egypt evolve over time, garnering support from other groups including Freudians and Christians. There is so much to unpick in this novel. Conspiracy theories, sub theories, a madcap plot, barely disguised depictions mocking known cultural figures, an assault on western civilization, and a deliberate zany complexity. When I first picked it up, I’d never read anything like it. Is it a call to arms for passive black activists whose actions Reed may have deemed lacklustre? A critique of western civilisation’s systems and treatment of black people? Reed’s biting manifesto against typical western literary forms? It’s all of these things and more. It’s indefinable, farcical but also very funny. It helps to have a strong grasp of history to fully appreciate the scope of this incredibly ambitious novel, to contextualise some of the references. Even without that, one can admire the dexterity of this work. It is its own animal. Loaded with symbols, obscure references, shifting in form and reimagining what a novel should look and feel like. It incorporates pictures, illustrations, quotes which solidifies the novel’s free wheeling style and its intention to break constraints and convention. Reed even inserts himself into the text in parts. There are changes in narrator, dictionary and encyclopaedia entries as well as transcripts and footnote references. Although Mumbo Jumbo was cited by literary critic Harold Bloom as one of the five hundred most significant books ever, outside the US, Reed’s writing doesn’t receive the plaudits it deserves. His exploration of paranoia and dissent should be ranked with the likes of Kurt Vonnegut and Thomas Pynchon but his name often isn’t included when critics discuss works exploring this theme on a grand scale. 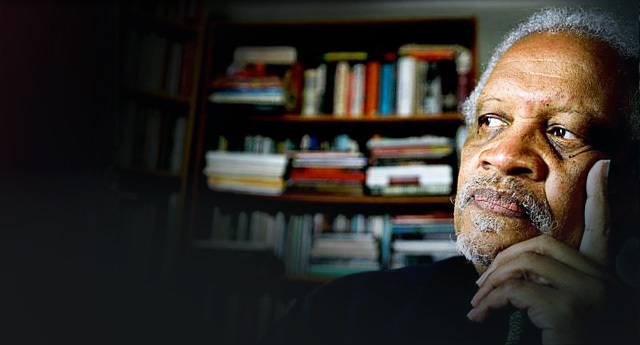 Reed’s influence can be seen in the writings of other authors, Paul Beatty’s The White Boy Shuffle for example and E.L Doctorow’s novel Ragtime. Beatty’s depiction of urban absurdity has shades of Mumbo Jumbo’s comedic elements whilst Doctorow’s novel borrows some of the improvisational techniques Reed employs. I stumbled on it in college, it made quite an impression. I wondered why he wasn’t more universally known but perhaps that was a good thing, novels like this always find their audience no matter how small. When you discover work at a young age, there is a tendency to reflect on it through the rose tinted glasses of nostalgia. Not so with this book. Each time I read it, it’s just as weird, just as exhilarating. It’s simultaneously insightful and head scratchingly cryptic. Mumbo Jumbo is a masterpiece. Virtuoso in form, it’s a challenging and complex dissection of America. It touches on a gamut of subjects, from ragtime to jazz to Greek philosophy. Very few writers manage the satirical humour, breadth and detail of cultural reference and critique Reed shows. With Mumbo Jumbo, Reed reveals himself to be an astonishing observer of culture and a bold, visionary writer. Irenosen Okojie is a writer and Arts Project Manager. She has worked with the RSC, The Southbank Centre and The Caine Prize. Her work has been featured in the Guardian and the Observer amongst other publications. Her short stories have been published internationally. Her debut novel Butterfly Fish is out now with Jacaranda Books. Her short story collection will be published in 2016.